- Whoever sights the crescent by naked eye or through binoculars can report in the nearest court and register his testimony. 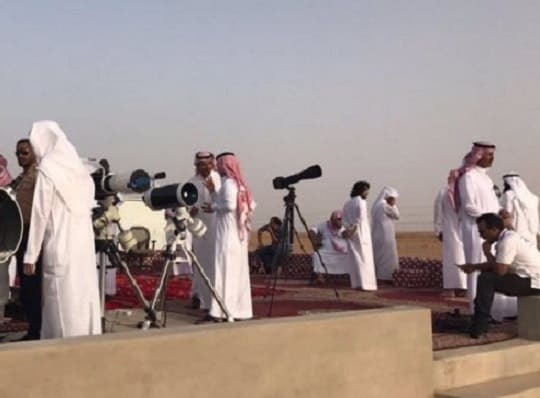 - If the moon is not sighted on Saturday evening, The first day of Dhu Al Hijjah month will be on Monday, In this situation Eid Al Adha will be celebrated on August 22nd. - The next day of it, Eid Al Adha will celebrated that is on 10th day of Dhu Al Hijjah. On this day Muslim families slaughter sheep following Prophet Ibrahim's devotion to God and his readiness to sacrifice his son.